Apartments For Sale in Alcazaba Lagoon, Estepona. | SpainForSale. Apartments For Sale in Alcazaba Lagoon, Estepona. Luxurious Penthouses & Apartments For Sale in Alcazaba Lagoon, Estepona. 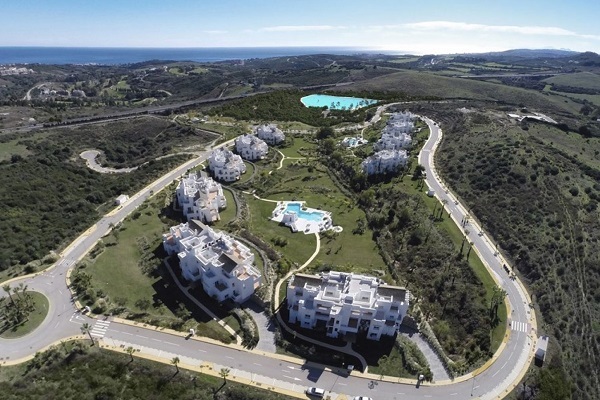 Sea views penthouses, ground and middle floor apartments, flats, estudios.. Exclusive Apartments For Sale in Estepona. Are you looking for Properties for sale in Alcazaba Lagoon, Estepona? SpainForSale.Properties has the wider selection of apartments and penthouses for sale in Alcazaba Lagoon, Estepona. Properties for sale in Alcazaba Lagoon, Estepona. Alcazaba Lagoon homes for sale. Look our available luxury penthouses and apartments in Alcazaba Lagoon, Estepona. Apartments for sale in Estepona. Luxury Homes For Sale on the Costa del Sol with SpainForSale.Properties Real Estate Agency in Marbella. Currently we have a big selection of apartments and penthouses in Alcazaba Lagoon, Estepona. If you are looking to buy properties in Alcazaba Lagoon, Estepona. Apartments, Flats , Penthouses … good properties for sale, We can find the best for you. Latest Featured Penthouses & Apartments For Sale in Alcazaba Lagoon, Estepona. | SpainForSale.Properties. If you are looking for Apartments For Sale in Alcazaba Lagoon, Estepona. Please, have a thorough look at SpainForSale.Properties website and you will find the best selection of available Apartments For Sale in Alcazaba Lagoon, Estepona. Currently, we have the best selection properties for sale in Estepona. If you are looking to buy: Luxury Villas, Apartments and Penthouses, Townhouses and Plots for sale in Estepona, SpainForSale.Properties Real Estate Agents can offer you the best selection. If you want to buy a property For Sale in Alcazaba Lagoon, Estepona you will find a big selection of apartments, townhouses, penthouses and Apartments in Alcazaba Lagoon, Estepona, on this web site. You can also use SpainForSale.Properties comprehensive property search on the top of this webpage and extend your search to find the perfect Property For Sale in Alcazaba Lagoon, Estepona. A selection of properties offered at very attractive prices, Bargain properties for sale distressed and reduced property for sale. At SpainForSale.Properties we know how difficult it can be to start a search for an Apartments For Sale in Alcazaba Lagoon, Estepona or elsewhere on the Costa del Sol when you are not familiar with the area, it is for you a new country and with that comes different laws and customs. Estamos aquí para ayudarlo con todo, desde el principio hasta el final de su proceso de compra. Apartments For Sale in Alcazaba Lagoon, Estepona. | SpainForSale.Properties Luxury Real Estate. What is the first step to buying an Apartments in Alcazaba Lagoon, Estepona? If you are thinking about buying Apartments in Alcazaba Lagoon, Estepona, finding a trusted Real Estate Agency is the first step. SpainForSale.Properties is considered one of the most trusted Exclusive Real Estate Agency in Marbella, Costa del Sol and other “Prime Locations” in Spain. Our properties For Sale and Rent portfolio features the most distinctive Real Estate For Sale in Alcazaba Lagoon, Estepona. Apartments For Sale in Estepona. Inversiones en “Ubicaciones principales”.